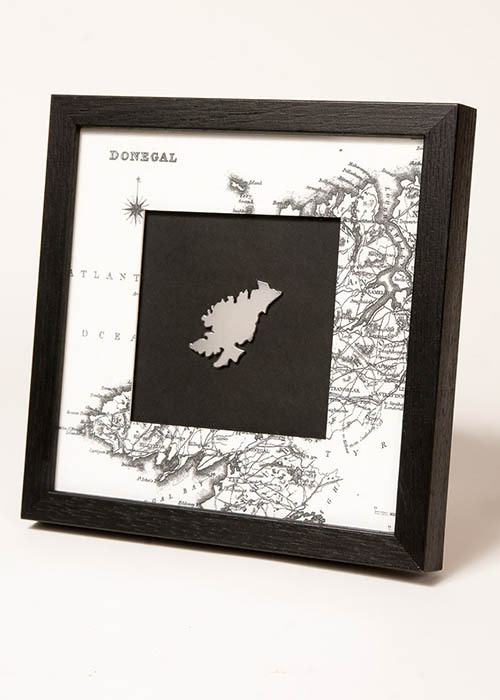 Counties of Ireland Jewellery is the beautiful result of a collaboration between jewelry artist Soraya Ricalde and designer and custom art framer Marion Fink. From their studio in Grellagh, Castlegal, County Sligo, these two women lovingly craft finely detailed hand-made pendants depicting the country of Ireland and the iconic shape of all 32 counties from genuine sterling silver or bronze. In Ireland there has always been a close relationship between people and place, and that each place has its own unique identity. 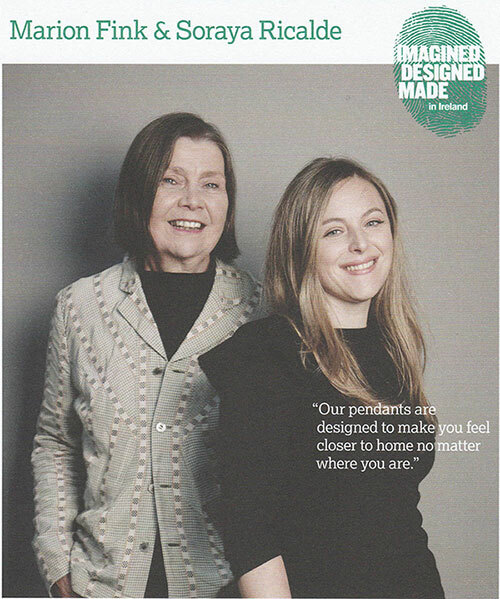 With this in mind, Soraya and Marion have created and hand-crafted Irish jewelry and other items that represent the place, the heritage, the memories and the culture of Ireland and its 32 counties. Each piece is designed and finely finished to serve as a lasting and beautiful memoir of the wearer's sense of place. The Assay House Hallmark certification from Dublin Castle is on each silver piece. 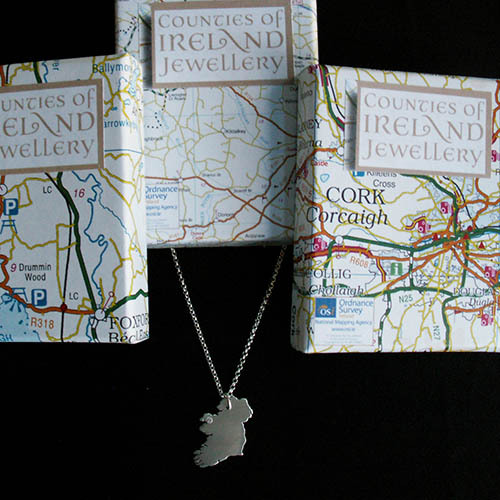 Additionally, all silver pendants come in custom designed map of Ireland gift boxes, further enhancing the specialness of the gift. 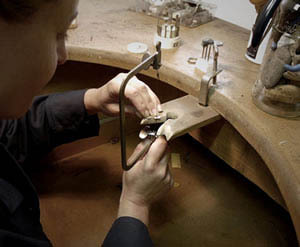 Bespoke pieces are also popular, setting a crystal birthstone in the county of your choice, usually where the wearer was born or the origins of her family. Soraya and Marion recommend these pieces as gifts for Irish weddings, anniversaries, retirements or birthdays as they are popular keepsakes that give a strong sense of memory. Silver Ireland Pendant with Birthstone. Shop Now. Ireland and Counties Map Framed. Shop Now.